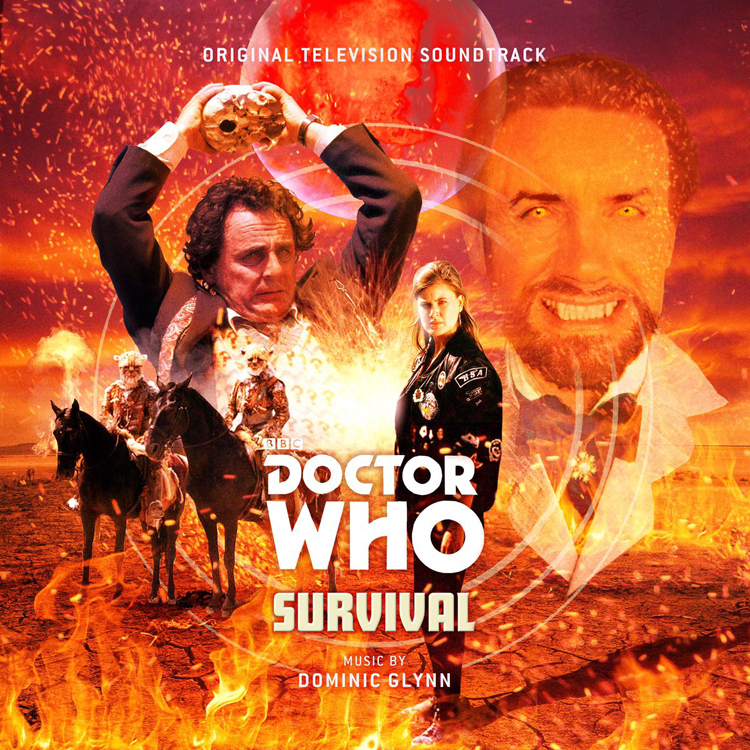 Prolific composer Dominic Glynn is closely associated with the 1980s era of Doctor Who. A major creator of production music his work can also be heard in hundreds of film and TV productions worldwide as diverse as The Simpsons, Red Dwarf and Dead Like Me. Transmitted in late 1989, Survival marked the end of an era for Doctor Who, the final series from a continuous 26 year run. A few tracks from the series appeared on the Doctor Who 50 compilation but the rest are all previously unreleased. Dominic is also a producer and DJ in the field of electronica. He has recorded under the name of Fluid and Cybajaz, and has contributed music to Re-Volt. Also, Dominic has collaborated with Michael Faulkner’s D-Fuse AV on both live performance and music videos and through this collaboration has regularly performed as a DJ and artist at The Big Chill music festival. Well it’s apparently being published by Silva Screen so that should settle anyone’s worries that they don’t have the rights to Doctor Who any more, right? This is fabulous ! Will be getting this how nice to have some more classic soundtracks again ! IF WE FIGHT LIKE ANIMALS, WE’LL DIE LIKE ANIMALS! Caves of Androzani, Krotons and Ghost Light so far – now these, thank goodness! This is amazing news, and hopefully will lead to many more! will there be others? I actually liked the ghostlight and ‘greatest show’ soundtrack more. Ghost Light was released a few years ago I believe. … and TGSITG was released years before that! the delia derbyshire stuff is very atmospheric and otherworldly, so i,ll be getting the daleks cd. I have the geoffrey burgon soundtracks to Terror of the zygons and the seeds of doom. same there. i forgot about the ghostlight release because i also at the time had that doubled on a cd with greatest show so didnt bother for same reason. Don,t own now so tempted to buy if all the tracks are the same.